Islands are different. The smaller the island, the more true this becomes. Look at Britain. Barely conceivable that this narrow stretch of land should sustain so much diversity. Cricket, cream teas, Shakespeare, Sheffield, fish and chips in vinegary newspaper, Soho, two universities, the beachfront at Southend, striped deckchairs in Green Park, Coronation Street, Oxford Street, lazy Sunday afternoons. So many contradictions. All marching together like boozy protesters who have not yet realized their main cause for complaint is each other. Islands are pioneers, splinter groups, malcontents, misfits, natural isolationists. As I said, different. Have you read this book? Other books by Joanne Harris? What do you think? Would you keep reading? Leave a comment and a link to your First Chapter, First Paragraph and/or Tuesday Teaser! Thanks for coming by. 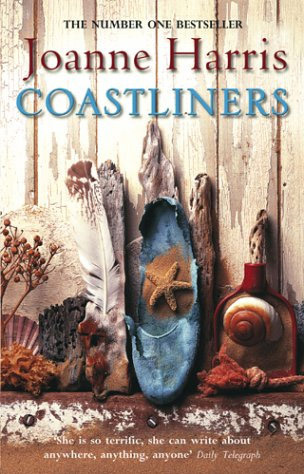 This entry was posted in Adult Book, coming of age, Meme, Teaser and tagged Coastliners, coming home, Joanne Harris. Bookmark the permalink.